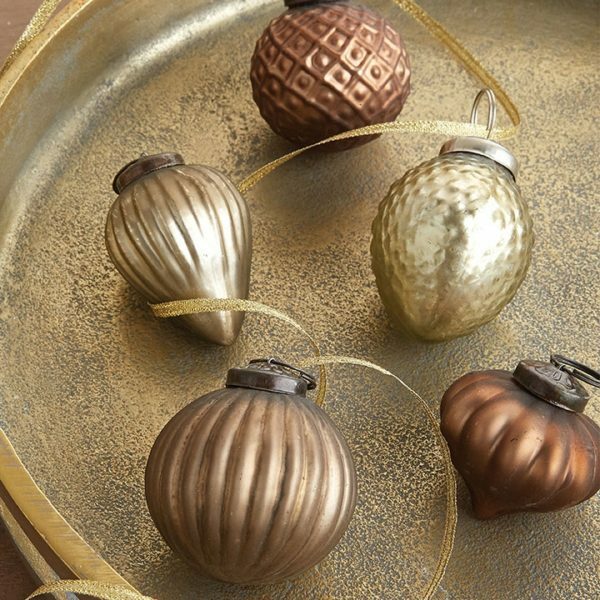 This mixed Bronze & Gold Christmas Ornament Set comes with 5 beautiful ornaments! 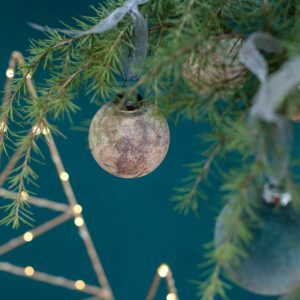 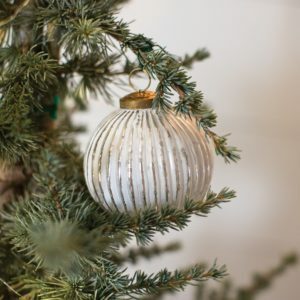 They are a perfect neutral to add to any Christmas theme and would look elegant with cream ornaments, feminine with blush ornaments, or vibrant with reds. 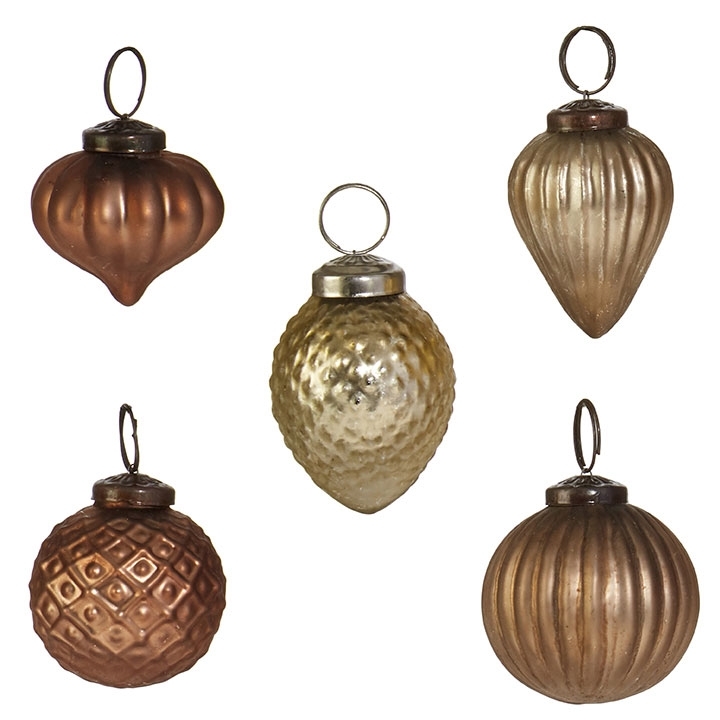 Made of glass, they are classic and timeless!